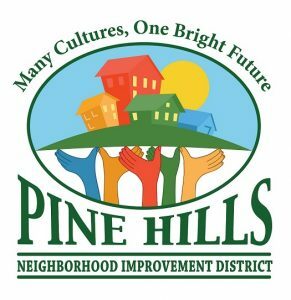 Orange County, FL – On Thursday, January 15, 2015, the Pine Hills Neighborhood Improvement District (Pine Hills NID) will host the first annual Pine Hills Small Business & Entrepreneurship Resource Fair from 9 a.m. to 2 p.m. at the Soiree Event and Convention Center, which is located on 6394 Silver Star Road in Orlando. Participation is free for all attendees. Area business owners are encouraged to come out to expand their professional network and learn about services that can help take their business to the next level. This event will serve as a one-stop-shop for owners to learn business “best practices.” Attendees will also be able to access Orange County services, meet area lenders and receive counsel from professional and nonprofit service providers. Participating partners include the Orange County Property Appraiser Office, the Hispanic Business Initiative Fund, BB&T Bank, the West Orange Chamber of Commerce and the UCF Business Incubation Program.